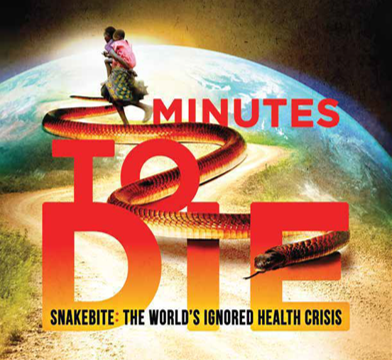 Snakebite claims the lives of between 81,000 to 138,000 people each year, and hundred of thousands more will live with lifelong disfigurement or receive amputations. But finally, after years of neglect, the voiceless victims are telling their story to the outside world. Snakebite is now recognised as an official Neglected Tropical Disease by the World Health Organisation (WHO). Dr David Williams - Head of the Australian Venom Research Unit, University of Melbourne and Chair of the WHO Snakebite Envenoming Working Group. Dr Williams is also CEO of the internationally active non-profit, the Global Snakebite Initiative, and has been a passionate advocate for snakebite victims for more than twenty years. Romulus Whitaker - Founder of the Madras Snake Park and Crocodile Bank. His awards include Whitley Fund for Nature, Rolex, Peter Scott, Salim Ali, Order of the Golden Ark and the Government of India's Padma Shri. Rom is now concentrating on the Indian Snakebite Mitigation Project which aims to drastically reduce the tragic loss of 50,000 men, women and children who die from snakebite each year in India. Royjan Taylor - Director of Bio-Ken Snake Farm in Watamu, Kenya. Bio-Ken milks snakes for medical research and for the preparation of anti-venom. They provide anti-venom to treat victims of poisonous snakebite and, with the help of the James Ashe Antivenom Trust (JAAT), provide it free of charge to those unable to afford it. Unpacking the limitations of rural medical infrastructure, the economic challenges of antivenom, and the financial devastation to the families of snakebite victims–who are mostly agricultural workers and children–the film makes clear that this health issue is also very much an issue of poverty, inequity, and social justice.